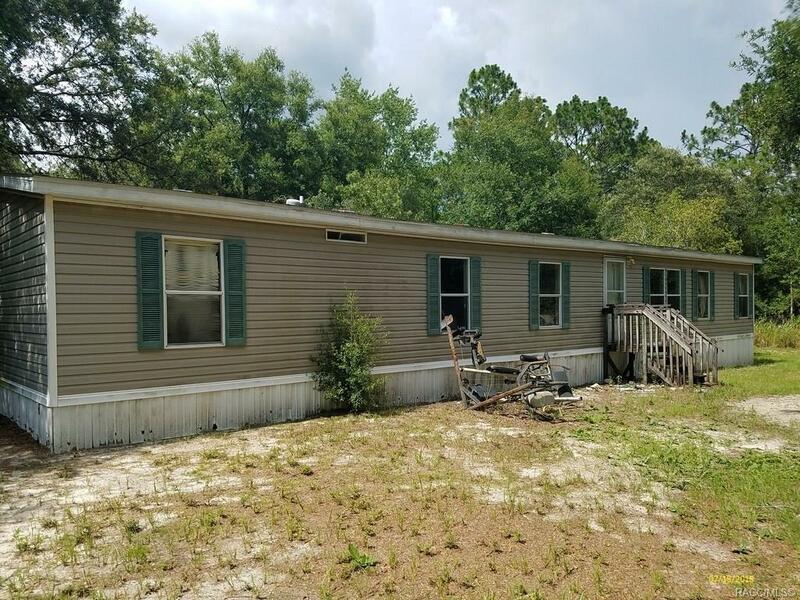 2625 E Mary Lue Street, Inverness, FL 34453 (MLS #776855) :: Plantation Realty Inc.
Bring your tool box and cleaning bucket and make this your perfect home tucked backed in a nice country setting. Home sits on 4.8 acres of beautiful land with lots of trees to offer plenty of shade and privacy. Home features almost 1800 square feet of living area with 3 bedrooms, 2 bathrooms, family room, dining room and open kitchen. Call today to schedule your showing to view this home. Cash only offers.